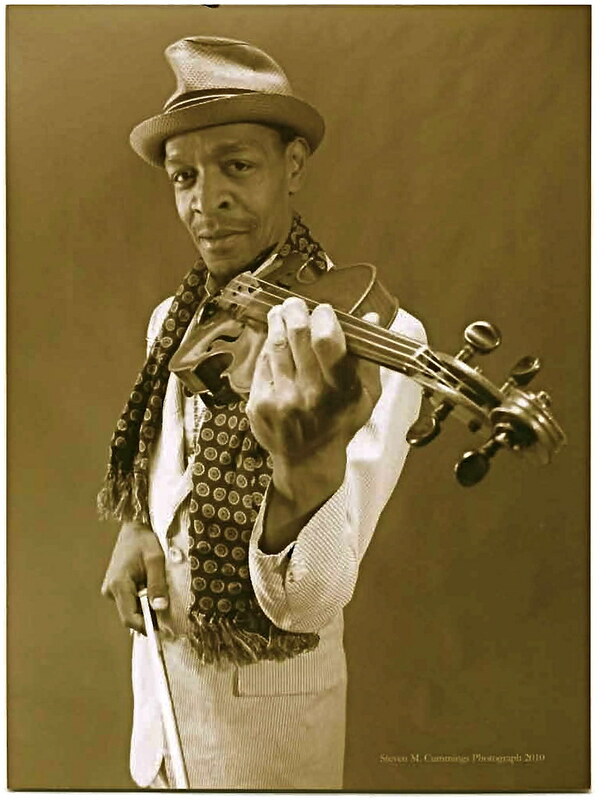 Raycurt Johnson aka “Fiddla” Began formal musical training with the D.C. Youth Orchestra (Viola) program and vocal training in the Vermont Avenue Baptist Church Choirs, Maintaining three years of membership with the D.C. Youth Chorale, Edward Jackson, Director. He auditioned for the Duke Ellington School of the Arts, Washington, D.C. in their inaugural year. He received a full scholarship to the Eastman School of Music, in Rochester, New York, furthered his studies in Opera. and continued studies in Chamber Music on the Viola. He has traveled mostly in the United States and Europe. A performer and producer of jazz and classical venues with rotating ensembles for hire. Productions of various genres of music as a formidable Violinist and Singer/Entertainer. He has performed with notables such as Stevie Wonder, Natalie Cole, Bette Midler, and Carmen Mac Cray. Akademisches Festival Orchestra, Leipzig, Kammerorchester de St. Laurentius, in Dessau, Germany. National Gallery of Art Orchestra, and the American University Symphony. La Fete Musique. MTA-Music Under New York. A Concert and Workshop for musicians of various styles and genres presented spontaneously on stage.